The Current Year Report is the weekly editor podcast of The Common Sense Post. The hosts Lukas and Sam deliver a weekly dose of politics, banter, occasional interviews and review the week's events in a way that rrrrreally tickles those neurons. We've been hearing from a lot of you and the consensus is that £30 for some Redbubble gear is too much of a hassle and you want to just donate or support us another way. Thankfully, we've finally found enough agency to set up a Patreon, so if any of you feel like making a contribution (however small) to the running costs of the show, we're thankful for anything you can give. Both of us love that you've been so receptive to what we're doing and want to grow our audience and kick this up another gear. As a thank you for throwing one dollar at us, we'll mention your name on the podcast (and a small message, if you add it to your contribution)! Use your finances to contribute to your favorite political project - us! As a thank you for being our financier, you'll get a shoutout and, if you send us a topic or an article, we'll talk about a topic of your choice! Celebrate the defence of Tours in 732 with a recurring donation and you can join us for an episode. Funding the best thing to come out of Europe since 1871, you'll get to join us for an episode and you'll permanently be listed in a special thanks section of the podcast and/or the main site. 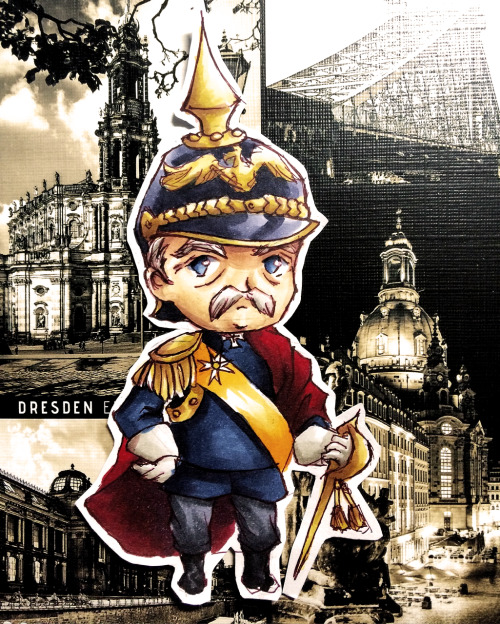 As a thank you for such a massive contribution, you'll get a free handmade anime chibi drawing of a political character of your choice by our artsy team member. Don't ask, we're not weebs, I swear. When we hit $50 we can get Lukas a pair of headphones for 100% echo free entertainment.